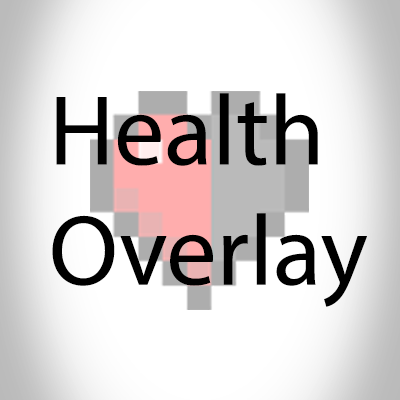 Health Overlay is a client side mod that replaces the default heart renderer which always added more rows when the player had more than 20 health. The health is now in the same row but just displays different colored hearts, it also does the same with absorption. If your maximal health is under 20 the mod also renders "empty" hearts. This mod was made to work together with Stats Keeper, but can be standalone. You can probably already guess that this mod was inspired by Mantle which adds the same feature but its made for forge, I wanted something that works with Fabric! just wondering if you gonna update mod to fabric 1.14 release now ?? Is there a limit to the level of hearts you can have? Is it possible to have Level up Hp installed and set the maximum level to 50 and make it give 1 health for each level? This doesn't control the health at all, It just displays colored hearts, It has 11 types, so that means when you go over 110 + 10 default hearts, the heart colors will repeat themselves again. Could you please add screenshots to the page? Another issue is the vertical offset the armour bar faces when you have another row of hearts. Fixed both of the issues, should be good to go now! One minor issue with this, the way the texture for the coloured hearts works. You can't have full-width icons for the half-hearts, might want to reformat it a bit to allow for full icon size. Since many texture packs don't use the half-sized icons for half hearts. The vacant and semi-vacant hearts are fine though, basically it needs to be 9x9.